Awarded a Double Gold in the 2015 San Francisco World Spirits Competition. 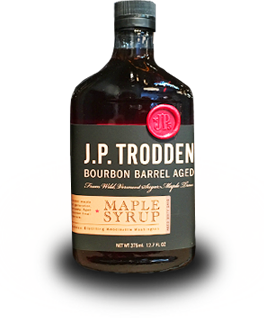 Mark Nesheim, owner and distiller, starts each small batch of J.P. Trodden by grinding the corn and winter wheat sourced locally from Washington state. Since bourbon is a uniquely American spirit, we take pride in using only American made equipment, including our copper still from Oregon, new oak barrels, and our Tennessee glass bottles. Our Bourbon Is made our way, in our own unique style and owing nothing to anyone. We are now just one year shy of releasing the 6 Year and the countdown is on!